Pull up bars aren’t as simple as you might think. You can pick one up and start working out, but if you haven’t done your research, you may wind up with a bar that’s not going to work for you. These bars come in four varieties: doorway pull up bars, free standing, ceiling mounted, and wall mounted pull up bars. 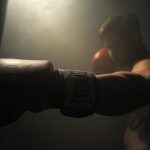 Consider how you intend to work out before you decide which one you need. What is the Optimal or Ideal Height for your Pull Up Bar? Doorway pull up bars don’t require any major installation. Just stick them in your doorway when you want to use them, and take them down when you’re done. 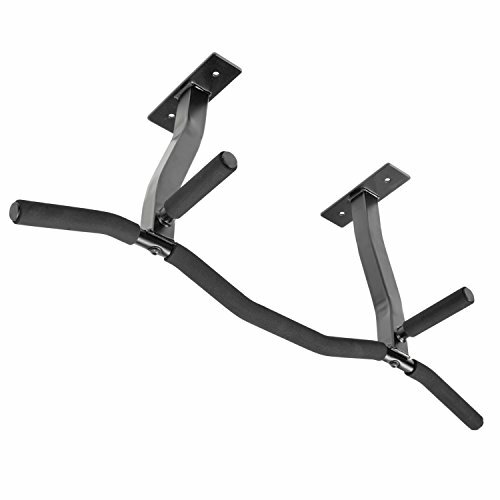 These are great for people who don’t have a place to mount a pull up bar, since they can be stored away when they’re not in use. The biggest downside to doorway pull up bars is that you can’t use them if your door frame is an irregular size. You’re also running the risk of damaging your door frame with rigorous use. Wall mounted pull put bars are an entirely different beast. They’re a little sturdier than doorway pull up bars, and they’re great for people who want a functioning home gym. You can jump from one workout to another without having to set anything up because the equipment is all there. That makes them great for CrossFit, or high intensity interval training. The drawback for wall mounted pull up bars is that they occupy a lot more space. They’re difficult to install, so it isn’t feasible to move them around. Once they’re up, they’re up. You need to make sure you can put them in one spot and keep them there. Aside from the basic Pull ups and Chin-ups, what other exercises can you do with a Pull up bar? We here at Garage gym Power hear this question lot. 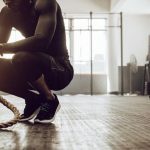 Some of our readers want to know if it is even worth it to invest in a pull up bar, because they can only imagine a few exercises to use it for. 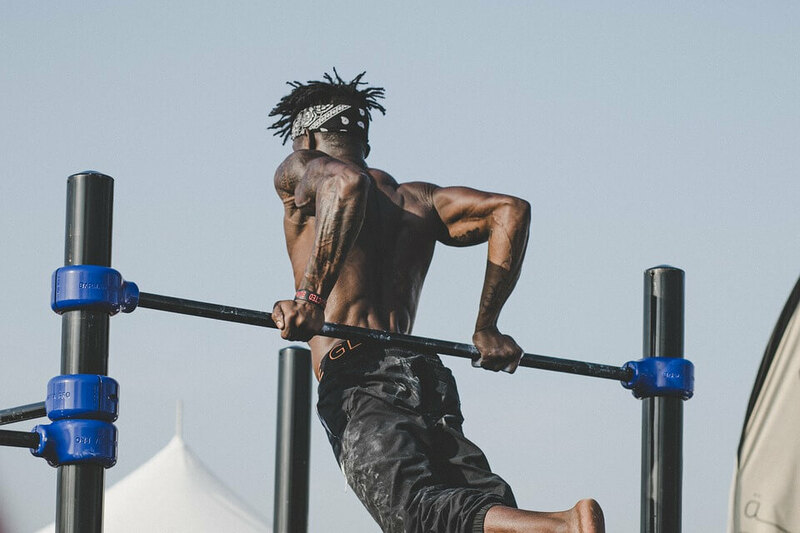 There are a ton of exercises you can do on a pull up bar. Here are 5 of them. This is a basic ab move that even beginners may be able to do. Simply hang from the bar and lift knees chest height in a controlled motion. This simple move can be performed using only the best door frame pull up bar. This dynamic kipping move works abdominals. 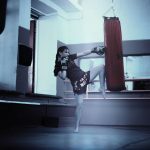 You start by hanging from the bar, swing, kipping style as you pull yourself up behind the bar as you simultaneously raise your knees until they touch your elbows. This advanced Pull up works both arms and abs at the same time. It is a simple, yet killer exercise. You start by hanging from the bar and extending your legs parallel to the ground. Then as you keep your legs raised, pull your chin up over the bar. This classic CrossFit move can be done using a home or garage gym pull up bar. It REALLY works the core. It starts with hanging from the bar, arms extended, lifting the knees, rolling upwards (the really hard part) then extending the toes until they tap the bar, and reversing this sequence in a controlled manner on the way back down. A muscle up is one of the most difficult moves you can do on the pull up bar and uses a wide range of arm and back muscles. It can be thought of as a combination of a pull up and push up done none motion. To perform a Muscle up, Hang, arms extended, from the bar, swing and kip up and back into a pull up, transitioning into pushing your chest up past the bar. This move relies on a strong, dynamic and powerful kipping movement to keep momentum through the transition. Door, all and ceiling mount pull up bars are not suitable for this exercise. Only the best free standing pull up bar will work. Your height determines the ideal height to hang your pull up bar. The height should be one where if you are standing on the ground the middle joint of your fingers (but not palms) are able to touch the bar. It allows you to reach the bar without a step or jumping up. It is high enough to allow a stretch once you are gripping the bar. You can dismount the bar without dropping or falling off (especially important if you are performing weighted exercises). 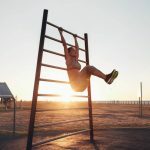 Some of our readers let us know they are unable to do even one pull up, and indeed, many people purchase a pull up bar in hopes of learning to do a pull up, or working up strength to do a pull up. Buying a pull up bar can be a great motivation to work towards your first pull up. It can be a great place to hang your laundry. 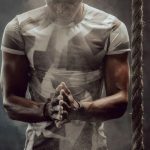 Since we want to see you succeed with your fitness, we have a few resources to help you with your first pull up. Pull up assist bands. We put together a list of the best pull up assist bands to ease you into your first pull up. Seasoned athletes will benefit from these bands as well because they can be used as an assist for more difficult moves after you master the basic pull up. 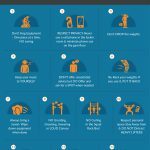 We have a short guide: How Women Can Build Up to a Pull Up, a super short 5 step guide that walks you through each step to achieve your goal. If you’ve decided to go with a doorway pull up bar, you may think they all look the same. Think again. There are tons of different designs, weight capacities, and grip configurations. You’ll need to find the one that will work for you. Review: This pull up bar offers you more versatility than any other doorway pull up bar on the market. Constructed out of durable steel and equipped with an astounding 12 grip positions, there’s nothing you can’t do with this doorway trainer. 12 grip positions offer ultimate versatility. You can do any exercise from any position with these grips, which provide you with a sturdy hold. Maximum weight capacity is 300 pounds, which is 50 pounds higher than most pull up bars. Comes with a lifetime limited warranty, so you’ll never have to worry about it breaking. Larger size may make it difficult to use the bar on doors that are adjacent to walls. This is the best doorway pull up bar for home gyms. It offers you the most options, and the possibilities are endless. Review: This is a versatile doorway trainer that can be used for more than just chin ups and pull ups. The unique design also allows it to be used to assist with sit ups and push ups, simply by installing in at the bottom of the door frame rather than the top. Most doorway trainers can be used for this purpose, but it’s the design of the grips that makes this one a stand-out choice. It comes with two unique grip handles that are U-shaped, designed to hold the hand. This is a multifunctional trainer, so you can use it for more workouts. You’re getting the most for your money by choosing a door trainer that can be used for a wider range of exercises. Five grip positions allow you to change out your workout. The U-shaped handles make pull ups easier for beginners. Only holds a maximum of 250 pounds, making it on the lower side of the weight limit spectrum for doorway pull up bars. This is the perfect doorway trainer for someone who needs multifunctioning equipment. Anchoring your feet through the U-handles for push ups and holding the handles for sit ups makes things easier, especially for beginners. Review: This is a budget friendly pull up bar that doesn’t sacrifice on quality or durability. It’s simple, but it will get the job done. It’s stocked with 6 foam padded grips that allow for up to 8 grip positions. It also comes with rubberized non-slip grips on the feet, so when you’re using it for floor exercises, you won’t have to worry about it sliding around. Great quality for an inexpensive price. Anti-skid feet make the bar easy to use for things like push-ups. 250 pound maximum weight limit is a little on the low side. Heavier users may not be able to use this as a pull up bar. This is the best doorway pull up bar for people on a budget. If you want to get a workout without having to spend a lot of money, this one will work just fine in your home gym. Review: Iron Gym’s pull up bar uses a very standard design, so it’s not about all the bells and whistles. This is a bar that’s designed to last a long time, made from heavy duty steel. It comes with five foam padded grips and allows for three grip positions: neutral, wide, and narrow. 300 pound weight limit means that anyone can use this pull up bar. Most pull up bars are only rated for 250 pounds of user weight. Durable construction means this bar will last forever. 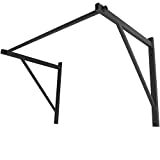 If you want a doorway pull up bar that you know is sturdy and suitable for all the basics, this is the right one for you. You’re paying a little more for the superior construction, but it’s better to spend more on a durable bar than it is to buy a cheap one that will break in a year. 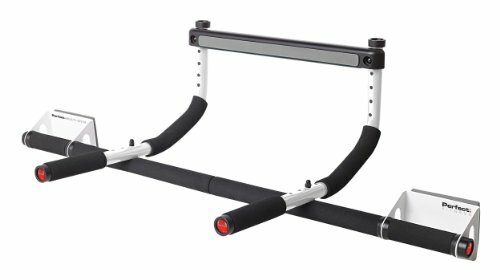 Review: While this doorway pull up bar may look a lot like a typical pull up bar, it’s the extra feature that makes it so unique. 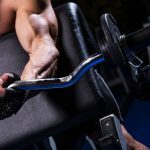 It offers the standard grips and positions that most pull up bars offer, but it has one thing that they don’t. The extra long bar comes with two fitted pieces that rest against your door frame, providing extra stability and protecting the wood from any damage. You won’t have to worry about damaging your door frame. This is perfect for people living in apartments, renting their homes, or people who have decorative door frames. This bar adjusts in both height and width, so it will fit just about any door frame. 220 pound weight limit is very low compared to most other doorway pull up bars. This is the best pull up bar for home for people who can’t afford to damage their doors. While most pull up bars are perfectly safe when used correctly, this one takes some extra precautions to make sure no scuffs, cracks, or holes are left behind. 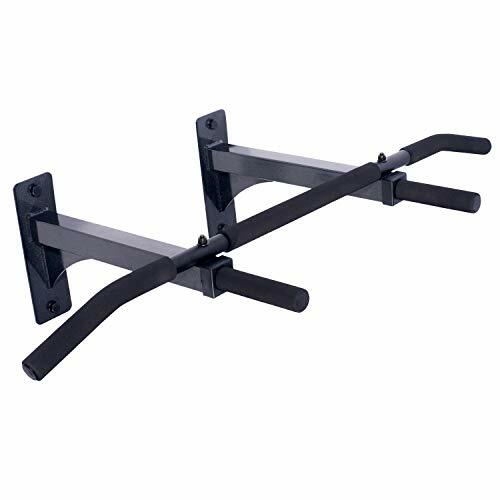 If you think a wall mounted pull up bar will be best for you, you have a few things to research. They come in different lengths, weights, and clearances. If you know what kind of workouts you want to do, you’ll need to find a wall mounted pull up bar that will work with your plan. Review: This truly is the ultimate wall mount pull up bar. It’s 48 inches wide, and it offers 30 inches of wall clearance. This is an unbelievable amount of space, and it’s exactly what you’ll need to do Crossfit workouts. The bar is hammer finished to improve your grip, and the clearance is large enough to climb the wall while holding the bar. 350 pound weight limit is incredible. 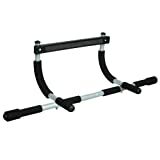 Just about anyone can use this solid steel pull up bar without testing its durability. It’s designed to take abuse. The finish is powder coated, making the bar weatherproof. If your home gym is in a damp garage or a back porch, the bar will never be damaged by the weather. 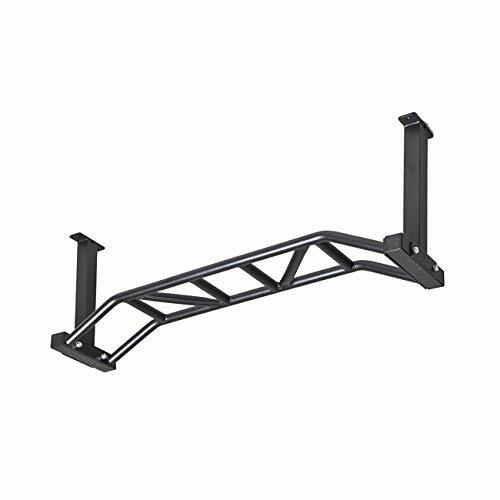 Since this bar is so large and heavy duty, installation is a little more difficult. This is the best wall mounted pull up bar that money can buy. There’s nothing you can’t do. It’s spacious, it offers great wall clearance, and the weight capacity is impressive. 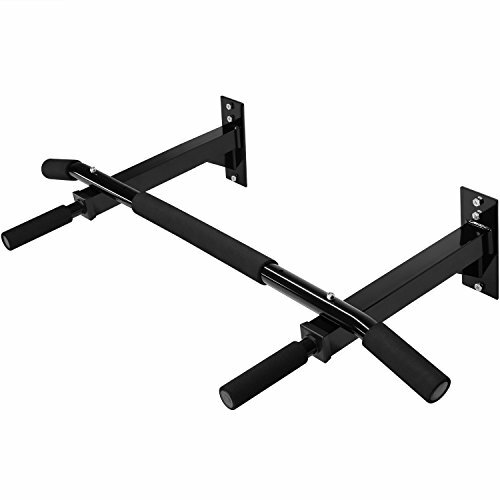 Review: This is another great wall mounted pull up bar for CrossFit workouts. You’re getting 30 inches of wall clearance and a 46 inch wide bar. The brackets are designed in a very versatile way. You can mount this to a wall, or to a ceiling. The installation supports both studs and joists, which is great news for people who don’t have much space on their walls. 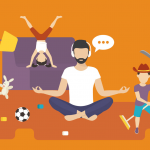 Optional ceiling installation is helpful in small home gyms. You won’t struggle to find a place to set this up. High capacity makes this wall mounted pull up bar very user friendly. Larger bars are a little more difficult to install. You’ll have to use a stud finder if you’re installing it on drywall. The versatility makes this wall mounted pull up bar a great option for people who need a CrossFit style bar, but don’t have a lot of space to install one. Being able to flip this over and mount it to the ceiling means it can be used in even the smallest of areas. 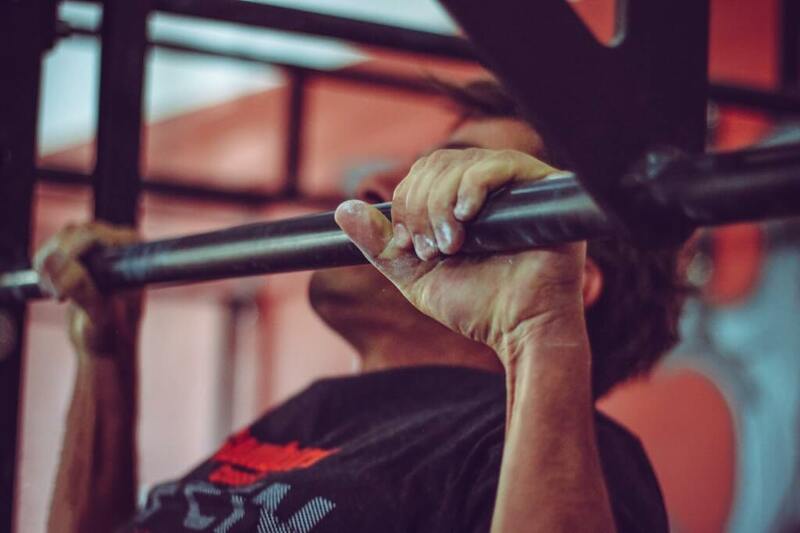 Review: This is one of the most inexpensive CrossFit style pull up bars you can find. It can be set up on a wall or on a ceiling. The width is adjustable, and can go as wide as 48 inches. You’re getting 30 inches of wall clearance, and a weight capacity of an astounding 500 pounds. It’s hard to beat the specifications of this wall mounted pull up bar – especially for the price. Affordable alternative to other CrossFit pull up bars, which can sometimes cost twice as much. With such a high weight capacity, there’s never any reason to be concerned that you might bend the bar. Doesn’t come with mounting hardware. You’ll need to purchase it separately. This is the best wall mounted pull up bar for a CrossFit enthusiast on a budget. If you’re looking for quality and you don’t have a lot to spend, this bar is your best compromise. 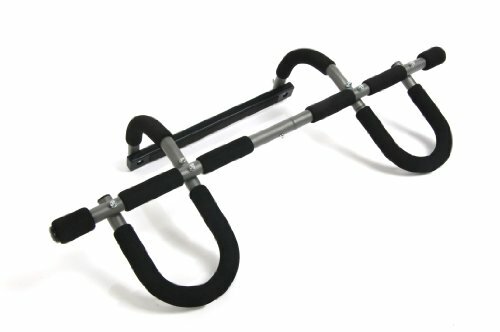 Review: This is a great wall mounted pull up bar for people who want to use it for traditional exercises. 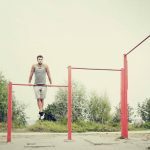 It’s not like CrossFit pull up bars, but it will allow you to do a large range of upper body exercises. It doesn’t take up a lot of space and offers a modest 14 inch bar to wall clearance. Foam grips are comfortable to hold and prevent slipping. Compact size works great in small home gyms. This can even be installed in a closet due to its small size. 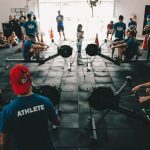 Can’t be used for all CrossFit style workouts – especially those that require a large wall clearance. If you want a basic wall mounted pull up bar that you can depend on, you’ll find that this one is perfect. If all you want to do is pull ups and chin ups, this is exactly what you need. It’s a space saver and it’s very sturdy. Review: This is a very inexpensive wall mounted pull up bar, but it’s an excellent value for the price. It’s designed like a doorway pull up bar, and will allow you to do exactly the same upper body exercises that you would on one of those models. It’s got 6 foam padded grips to offer you a few options, and it’s made of solid steel. This bar is very inexpensive. It’s well within everyone’s budget. If you don’t have a lot to spend on your home gym, you’ll love how cost effective this bar is. It’s just the right size for a small home gym. It won’t occupy too much space, so your workout area won’t feel crowded. Since it’s a budget bar, it doesn’t come with the best hardware. You may want to replace the included hardware with higher quality pieces. For being a bare-bones model, this wall mounted pull up bar is pretty good. If you’re just looking to find the least expensive model that will work, this is certainly the best budget option you have available to you. 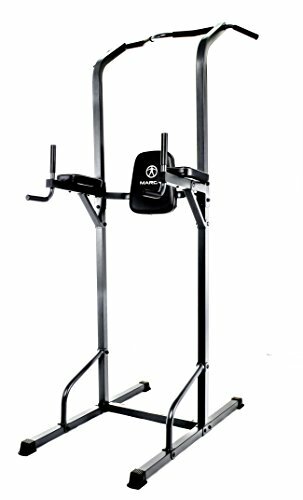 Review: This versatile free standing pull up bar power tower by Marcy just might be the best pull up bar for home gym because it can do so much more than pull ups, which is also does well. No need to mount or screw the unit into a wall, or occupy a doorway to use it. It is always ready to go. Use it for Pull Ups, dips, abs and core work. Multi grip pull up handles to position hands closer together or farther apart. 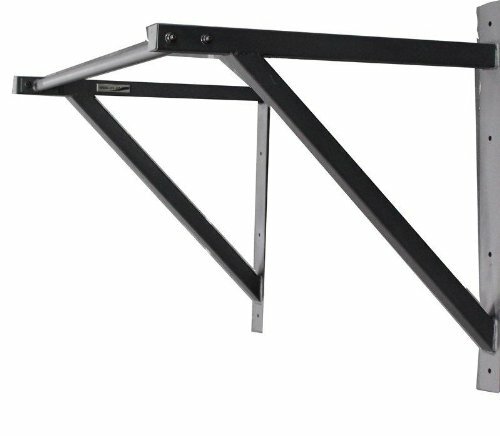 The best freestanding pull up bar for heavy users with a 300 lbs weight limit. More Expensive than an exclusive pull up only bar. Tall unit, 88” high Measure your ceiling height before buying! My Choice for most useful and best pull up bar for the well equipped home gym. 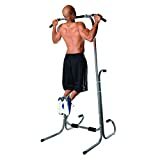 Review: This Free standing pull up bar is only slightly shorter than the Marcy model, at 81” high, but it allows for several different exercises, including pull ups, dips, chin ups and push ups. 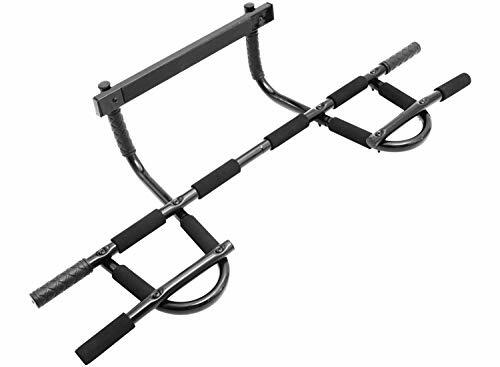 The price is great, only a few dollars more than some wall mounted or doorway bars, plus it allows for more exercises and you do not have to put holes in the wall or occupy a doorway to use it. Great for Pull Ups, Dips, Chin Ups and Push Ups. Lower Padded push up bar also adds stability, a nice touch. Multiple grips add to the usefulness of this free standing pull up bar. Very easy assembly, made from 9 pieces of sturdy tubular steel. 81” Tall, Measure ceilings before buying as you will need about 90” ceiling height or higher to use. Some swing to the bar, especially if your form is not perfect, but it will not tip over. Easily one of the best pull up bars for home or garage gym, so practical and multi-purpose you will use it every day. Review: This unit is quite tall, at 85” so be sure you have enough ceiling height to accommodate it. 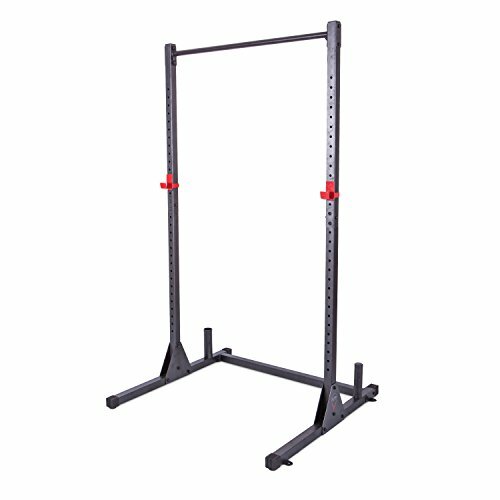 The CAP Freestanding Pull Up Bar is also the most sturdy of the three freestanding bars reviewed here. That is because it also doubles as a weight rack power rack and has a weight limit of 300 lbs, making it a good choice for weight lifters or larger athletes. This is also the best home pull up bar for CrossFit because it is so stable you can levers, Toe’s to bar, and even kipping pull ups. Very sturdy, made from 12 and 14 Gauge steel. Excellent choice for heavier users, with a 300 lb weight limit. Perfect for pull-ups and also great for weight lifting. 85” tall, be sure your ceilings are tall enough. The best home pull up bar for CrossFit and Functional fitness athletes. Review: What I love about this ceiling mounted pull up bar is that you can reverse the risers so it fits ceilings with either 16” or 24” spaced studs. The bar hangs 16” below the ceiling when mounted, so there is plenty of room for pull ups and chin ups, plus the bar has 3 grip positions and 20” spaced parallel grips. For a ceiling mounted pull up bar, it is quite multi talented. Accommodates both 16” and 24” joint spacing. 3 Grip positions, plus the parallel grips. Does not use up floor space not occupy doorway, the ultimate space saving solution. Ideal for tall users who find doorway pull up bars impractical and not tall enough. Weight limit is around 225-250, depending on security of installation. A solid option for those who need a ceiling mounted pull up bar, a real space saver. Review: This Titan ceiling mounted Pull up bar is height adjustable to hang 10 or 14 inches from the ceiling. The unit can also be wall mounted, for additional mounting options. 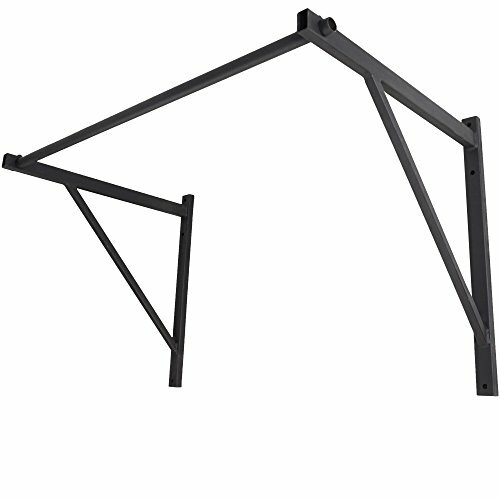 This hearty pull up bar is made from sturdy 14 gauge steel and is right at home in the garage gym. Extra wide 46” across bar. 500 lb weight capacity, if mounted properly. Sturdy 14 gauge steel simple construction. The price to durability ratio can not be beat. Review: The ultimate in garage and home gym pull up bars is this GRONK Fitness Multi-grip bar. 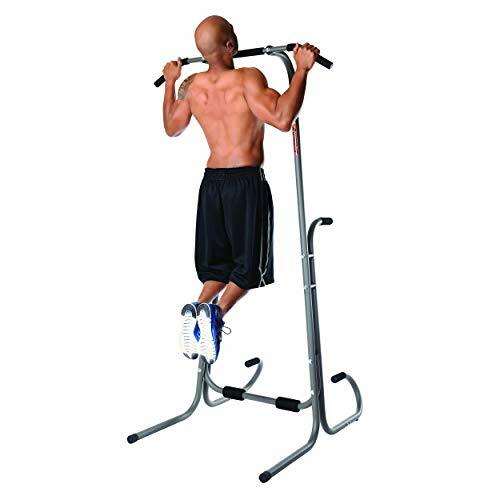 This Monkey Style pull up bar has a large variety of grips and angles to target every upper body muscle and sculpt your body with precision. Use your body weight to work your back, biceps & shoulders all on this one extraordinary piece of equipment. 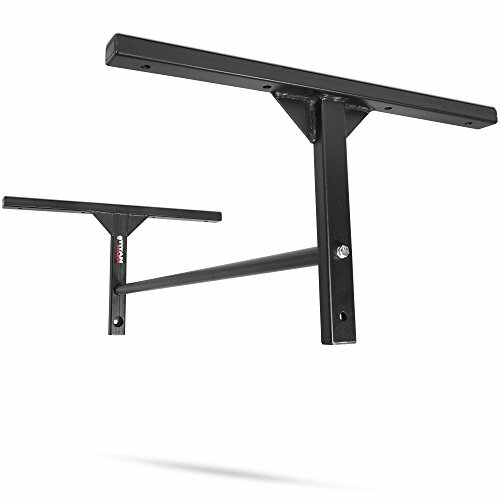 Holds up to 800 lbs, with mounting holes 48” apart. Many grips available allowing for pronated, neutral or supinated grips. Can be used with rings and suspension trainers like the TRX. More expensive than other ceiling mount models, but since it has far more grip versatility we think you will find it worthwhile. Functional, multifaceted, rugged and just plain good looking. You will not regret installing this beast in your home or garage gym. I hope by now you realize that choosing the best pull up bar is important. Don’t do what this guy did. His shoddy pull up bar failed and caused him a wrist injury that put the breaks on his training for a few weeks. Not cool. 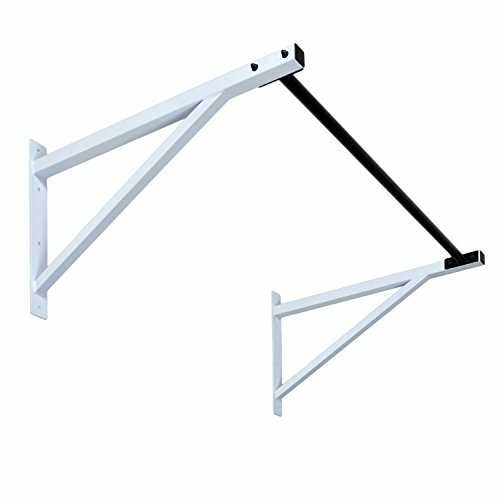 I highly recommend you choose the most sturdy and secure pull up bar you can afford, and if it is a ceiling or wall mounted pull up bar, have it professionally installed. The Stamina Door Gyms Door Mounted Pull Up bar is the best option if you need a door mounted style. This Door mounted pull up bar is sturdy and stable. Would love to hear your thoughts. What style home or garage gym pull up bar did you choose, and how is it working out for you? 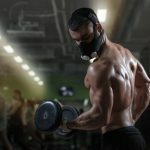 We include valuable Fitness and Supplement Guides and the latest fitness product updates with your free subscription.